This was another fabulous fun filled activity done with friends! We gathered over a three week period, each time for close to a full day and immersed ourselves in all things to do with Ocean Life! As always each adult/family prepared activities and this time crafts to go along with our activities, covering a myriad of Ocean dwelling creatures. As we worked our way through the creatures, learning some pretty cool things along the way we captured them in the form of a simple craft. The grand plan was to create a diorama to house them in. All of the kids also have a massive lapbook showing all of the cool stuff they learned but I wanted to show you inside our diorama's, they were so simple and tackling them this way made the task very doable. The majority of the crafts are all very self explanatory, here a picture really does tell a thousand words. Our egg cup Jellyfish! The kids painted their egg cups, some added googly eyes and for tentacles we used ribbon tape, hot glued to the inside of the egg cup. This little guy, our resident deep water Dragon Fish, was found via Google, although I can't find the link now that I want to share it with you. The original was made from a toilet paper roll, but that was simply too large for our project. Here we cut a piece of card, rolled it to form a tube roughly 1cm in diameter and 4cms long. His tail and fins are tissue paper, crumpled for the tail and folded accordion style for the fins. Add some googly eyes (every ocean creature simply must have googly eyes) and a bead attached to a piece of craft wire for his little dangly thing. Our cute little Green sea Turtle, once again an egg cup carton craft. His body is made of one single piece of craft foam. Far too fiddly gluing on seperate head and feet pieces. I simply drew the body shape by hand, using his 'shell' as a guide for sizing. Once I was happy with it, I traced the body several times for all of the kids. Again, held together using a hot glue gun. This is a must for creating a project like this one. Makes the job so much easier and holds everything together nicely. One of the mums had the cool idea of adding a whale to the background of the diorama. Here she searched google and found a simple colouring page template, they look very cool inside the finished piece. The little egg cup crabs are delightful and each of the kids came up with their own spin on them as you can see in the images at the end of the post. Pipe cleaners, egg cartons, paint and of course googly eyes. Really couldn't be simpler. Our Octopus, gave us a bit of challenge, when it came to attaching him to the box of the diorama. Until some one came up with the neat idea of hot gluing him straight to the top. He is simply a small styrofoam ball, painted, with pipe cleaner tentacles and don't forget the googly eyes lol!! No ocean is complete without Sea Anemone's. Ours are a little on the largish size, you get giant one's way down below, don't you?! I was very concerned that this little craft was going to be a flop with the group, simply paints, fluffy pipe cleaners and half styrofoam balls, they loved it and thought it was a pretty cool looking anemone! 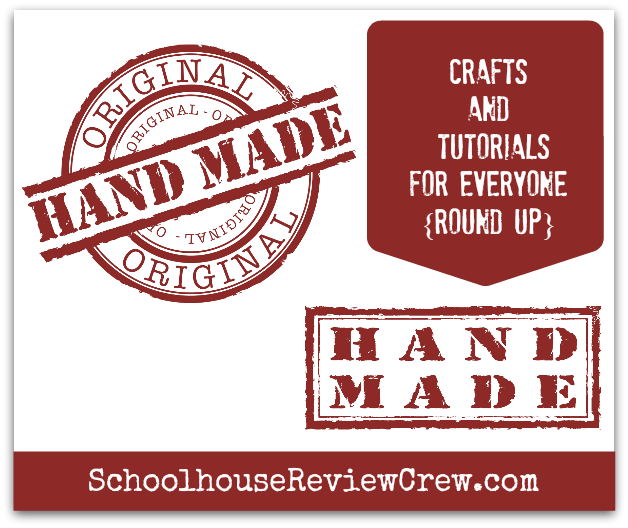 Whilst all the crafts are oh so easy, these are simply so simple that we nearly overlooked them. Twisted pipe cleaners on a pencil for seaweed or funky coloured coral. Glued to the base of the box with the trusty hot glue gun. I grabbed a pack of cheap green kitchen scourers for this one, the kids cut them up to make another variation on seaweed. Mr Lego Lover added this neat looking eel to the pool of ideas. Two pipe cleaners twisted together and the addition of eyes is all you need. Whilst all of the diorama's had very similar creatures housed within they all have their own distinct style depending on who created them. Master 11 painted his ocean floor yellow and added glitter to it for an extra sparkle. Master 5 brought his ocean floor right out to the edge (the lid is underneath) of the lid. Everything is glued in place though so he can still put the lid on the box for easy storage. Miss 9 chose the authentic effect of raiding sand from the sand pit to complete her ocean floor. This really was a fabulous exercise, it was quite involved and we spent a fair amount of time learning about and completing mini books on all of the animals, but working together with other families simply took any of the hard work out of it. 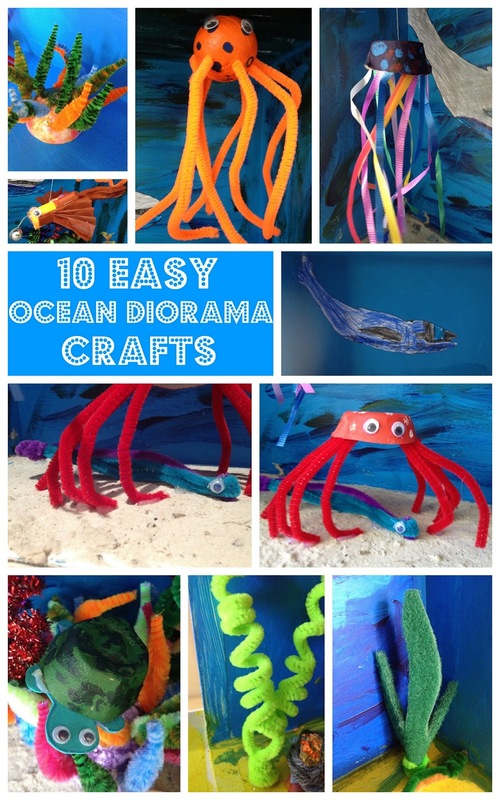 I personally only prepared for 3 of the ocean animals yet the kids have an awesome looking diorama and a lapbook brimming with all of the fun info they covered! This exercise really reminded me that we might be homeschooling but we certainly don't need to be doing this all on our own. I love all of these guys. My kids would love to make all of these. What a great project! I bet the kids had a lot of fun with these! This reminded me of a sea unit we did when I taught grade 2. The kids would make a diorama to display their learning. Thanks for jogging a great memory.